When I noted this in a discount book rack in my local grocery store, I couldn’t resist taking a picture of it and sharing it with you. The book was being sold for a $1.99. 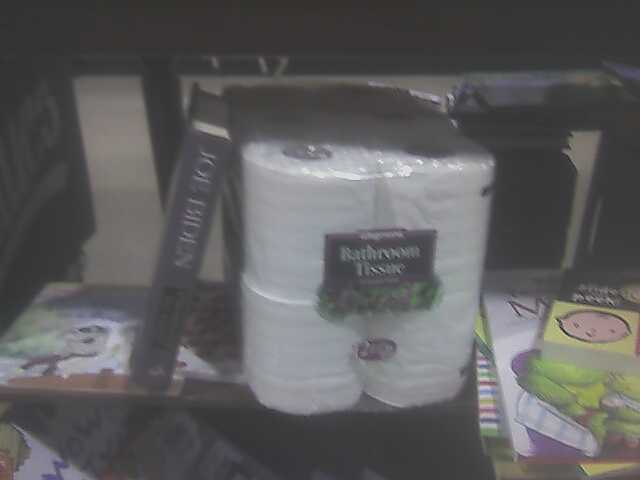 Someone had apparently decided they didn’t want the toilet paper after all and put it on the shelf next to the Biden book. The TP was selling for $2.49. Sorry for the quality… it’s a cell phone cam and the light wasn’t very good. Part of the focus problem was I couldn’t stop laughing. More than the price of the cell phones ,it is the features that makes a cell phone model different from it’s competitors.